PERHAPS the most admirable admission about Labor’s unhappy election campaign was made late last month at the National Press Club, when George Wright said that he, as the party’s campaign director, took full responsibility for the defeat. Just a few days later, Bruce Hawker published The Rudd Rebellion and showed just how much he disagrees with that apparently straightforward pronouncement. 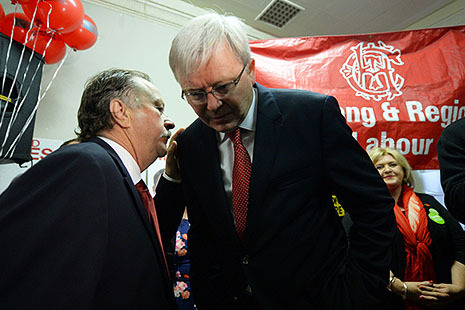 Hawker’s “campaign diaries” reveal little to suggest that he ever accepted Wright as the director of the Labor campaign – and much to suggest that he regarded himself as the campaign’s primary strategic decision-maker, second only to Kevin Rudd himself. 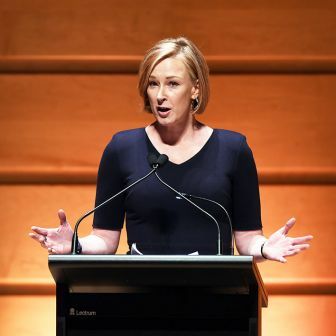 The “rebellion” in his title refers to Rudd’s three-year destabilisation against Julia Gillard and her colleagues – but by extension it also refers to Hawker’s rejection of the centralised authority of Wright’s head office. Just why there should be competition among Labor’s campaign managers to take credit for what was, at the end of the day, a heavy election defeat, needs explaining. Part of the answer is that Labor is engaged in its own history wars: did Rudd save Labor’s furniture, and if he did, is that sufficient to justify his rebellion? On this level, Hawker is unashamedly spinning for Kevin, and the book should be seen as nothing more than a print version of his many TV appearances before and since 7 September. 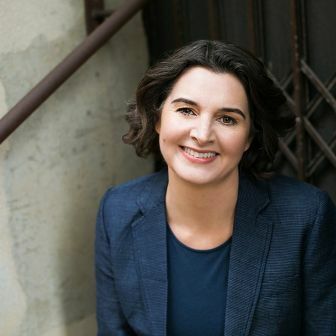 But there is a bigger issue at stake as well, the question of the best way – the most effective way as well as the normatively most acceptable way – of organising election campaigns in Australian politics. Wright’s comment represents the orthodox Head Office perspective, developed by the major political parties in this country over four decades: that election campaigns are won and lost with a centralised and well-resourced party organisation, led by a national campaign director who works hand-in-hand with skilled and disciplined parliamentary leaders in developing and implementing effective strategies of persuasive, targeted and consistent campaign messages. But if Hawker is right, then campaigning in Australia – or at least in the Labor Party – has made a decisive shift into a new era, where elections are run by external consultants retained not by parties but by individual candidates. In this view, head office can run the field operation but the strategy lies with the leader and his coterie. Hawker doesn’t describe his employment status, but it seems clear that after Rudd’s return to the prime ministership he became a ministerial staffer or consultant – that is, he held no authority in the campaign other than informally as Rudd’s advisor. There are further differences between these rival Labor campaign managers. Wright’s primary responsibility is to the party as an institution, regardless of who fills the parliamentary leadership; Hawker was operating, in this campaign, with an “all care but no responsibility” attitude as a short-term visitor whose first loyalty was to Kevin Rudd. Wright represents the old-fashioned view that if you lose, you take it on the chin, you don’t complain, and – except in the internal review process – you don’t blame your own side. Hawker seems to stand for a new practice of washing your dirty linen in public. These differences can be discerned in many points of Hawker’s narrative. All this sniping merely serves to confirm the validity of the oldest lessons in the campaign handbook. Political disunity is death. Strategy is singular, not plural. Specifically, when Labor’s campaign management is split between Head Office and the Leader’s travelling party, disaster looms. That was the experience of Labor’s last election defeat in 1996, and it was the experience, in reverse, of the successful Liberal campaign in 2013. Brian Loughnane, who was George Wright’s counterpart as Liberal Party national campaign director, ran a campaign that was unified around a single long-term strategy in which, to put it bluntly, the national campaign director disciplined the party leader, not the other way around. 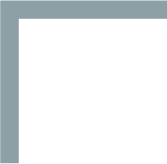 Peta Credlin – who as Tony Abbott’s chief of staff is the counterpart in this story of Bruce Hawker – did not spend most of her time developing alternative campaign strategies, and was able to corral her parliamentary leader into the party strategy. Perhaps it helped that Loughnane and Credlin are married. Of course we are unlikely to find out how the Liberals did this, because another characteristic of recent Liberal campaigns has been the insiders’ reticence about – indeed, refusal to reveal – the ins and outs of campaign management. No dirty linen or internal sniping here. IN CLAIMING that Gillard supporters in head office sabotaged Labor’s campaign, Hawker is making a very serious accusation. He does so without providing any proof of his suspicions. He also fails to note the irony: that when it comes to internal destabilisation, he did as much as anyone to bring about the Rudd Rebellion – notwithstanding the damage he did to Labor’s cause at the time. It is worth recalling, for example, the events of February 2012, when Kevin Rudd, in Washington, abruptly resigned as foreign minister and returned for a caucus showdown with Gillard. Hawker was working as a paid consultant to the Queensland Labor Party during then-premier Anna Bligh’s doomed re-election campaign. Rudd called him, but not Bligh, to give advance warning of his move. 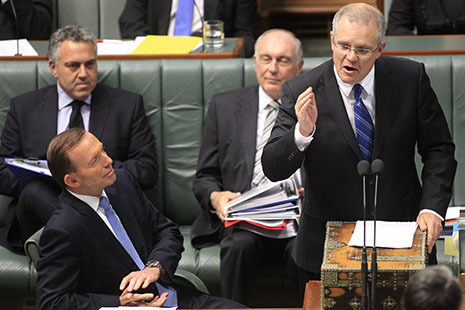 Hawker hit the media, urging – as a state Labor employee – that federal caucus overthrow the prime minister. This was hardly helpful for Bligh, who promptly stood him down from her campaign. But it also represented an unusual trespass by a paid consultant into the responsibility of caucus. It is a shame Hawker ignores this incident in his book, because it is emblematic of how his loyalty to Rudd surpassed any sense of obligation to elected leaders Bligh and Gillard. In Hawker’s view, there is only one set of loyalties. While he describes himself as the loyal party member, those who stuck by Gillard are “suicidal”; while he is the experienced campaign consultant, they opt to “stick with the faith healers.” Gillard relies on unrepresentative “faceless men” in the factions and unions, claims the unrepresentative campaign consultant. Hawker approves of Rudd campaigning “with a vengeance” in Geelong and undertaking a “triumphal march through Sydney’s western suburbs,” but when Gillard’s poll numbers continue to droop, he resorts to the Jeremiah-like wail: “How much longer are we going to allow these self-appointed custodians of the Labor Party to take us down this course of destruction?” (emphasis added). It is not clear who appointed Hawker as Labor’s custodian. His own explanation, offered at the time of his “trespass,” is that he was entitled to intervene in a leadership decision because he was a longstanding member of the Labor Party and an experienced Labor campaign manager – and besides, caucus should not have this power to elect leaders. It was a disingenuous argument then and now, as he failed to acknowledge his privileged access to the media and the extent of his Rudd allegiance. If it is true that a campaign consultant carries a comparable public responsibility, or political risk, to an elected MP, then this marks a shift in Australian political culture. Hawker’s book is all about how an unelected campaign consultant exercised significant influence within the Labor Party. IN TELLING this story, Hawker provides some new insights into the rush and pressure of contemporary election campaign, where state-of-the-art technology meets political reality. He takes the reader on board the VIP flights and into the leadership group meetings; we dial into early morning staff hook-ups, read poll results and see the media pack at close quarters. It will be of interest to campaign specialists and to Liberal opposition researchers. But someone has to say this: as a diarist, Bruce Hawker is no Alastair Campbell. At their best, diaries make compelling reading because they capture events and personalities in action. They are candid, authentic, immediate and, most important, unspoiled by knowledge of how things would pan out. 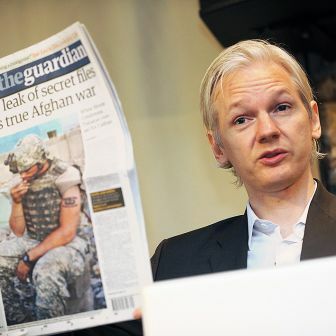 Hawker’s text, by contrast, betrays too much evidence of self-censorship or editorial redaction. How else do we explain his clunky description of an unnamed someone as “a senior Rudd supporter from caucus” – or of the “reporter at the Australian,” the “senior ALP official,” the “Rudd team member,” or “a newspaperman”? Why does he use passive language to reveal he “received information about the party’s polling,” without revealing how (or from whom) he acquired this sensitive information? He warns us in the introduction that he has removed some names “to protect their privacy.” I think a responsible editor would have marked such changes with square brackets. But the deeper problem is that it is not clear why Hawker extends his cloak of invisibility over some people but not others – why he is happy enough to name and criticise some Labor politicians, campaign staff and journalists but not others. Perhaps he is just perpetuating the unhealthy cycle of anonymity between Rudd supporters and the media that characterised the Rudd rebellion. Whatever the cause, it does not make for a good diary. Reading Alastair Campbell, you emerge with a sense of having heard, seen, walked with and understood Tony Blair. Reading Bruce Hawker, you learn surprisingly little about Kevin Rudd. There is no extended dialogue, no insight into political ambition, no wrestling with complexity, no wit. Rudd emerges as both highly intelligent and microscopically focused on one issue at a time, capable of astonishing endurance interspersed with petty temper tantrums. Hawker said his job, in part, was “to keep Kevin on an even keel,” and he does this admirably with jokes, tall tales and war stories. One day on the campaign trail, they sang jingles from old cigarette commercials; another time “Kevin and I got into a recitation of the silliest scenes from various Barry McKenzie movies.” Honestly, you had to be there. There are a couple of typos, including that most unspellable of journalist names, Max Uechtritz (Hawker opts for Uetrich). There is also a small but astonishing error. Following his complaint about the self-appointed custodians, Hawker approvingly quotes a former Liberal Party leader: “These are, as Malcolm Fraser once observed with respect to John Gorton, ‘reprehensible circumstances’ warranting drastic action.” Wrong! 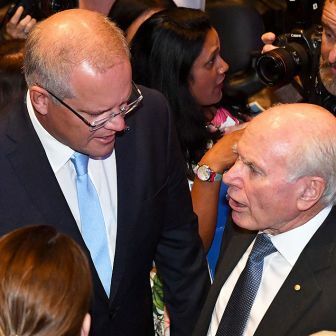 Fraser invoked reprehensible circumstances not when he was pulling the rug from under Liberal prime minister Gorton in 1971, but when he was preparing to do the same to Labor prime minister Gough Whitlam in 1975. Reprehensible circumstances, Fraser said, would be sufficient grounds for the Senate to block supply. Besides the error, it is regrettable, to say the least, for a Labor loyalist to quote Fraser on the Dismissal – especially as a precedent for removing another Labor prime minister in 2013. Then again, maybe there is a theme here: the book’s title seemingly invokes the Rum Rebellion – Australia’s only military coup against civilian authority. Stephen Mills, author of The New Machine Men, has recently completed a doctoral thesis on campaign professionalisation. He worked as a speechwriter for prime minister Bob Hawke during the 1987 and 1990 election campaigns. Government by the old, for the old?